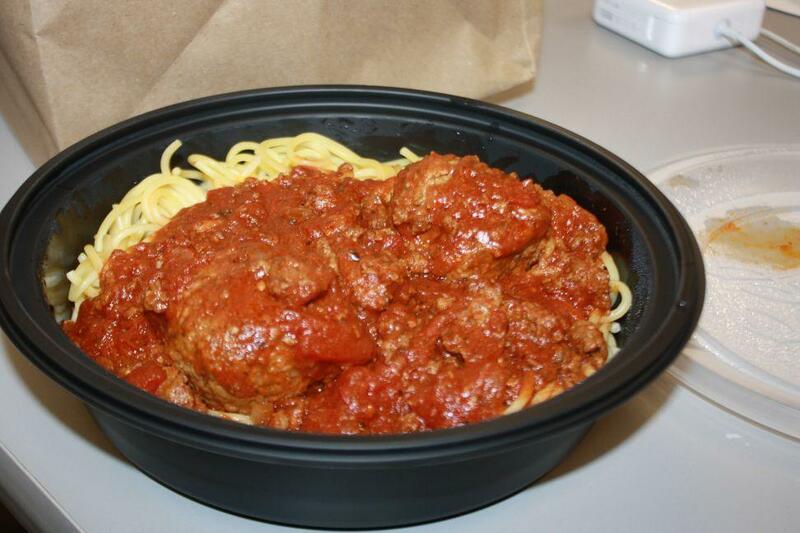 The Classic is further enhanced with the addition of meat to the marinara sauce. This is, pound for pound, one of the most calorically dense combinations one can attempt at the Olive Garden, and, assuming a dinner portion is ordered, likely to hamstring your efforts at getting your "money's worth" from the pasta bowl. Pictured here is the lunch to-go portion of The Classic+, which I only was able to get one messy shot of before my instincts overcame me and I devoured it wholesale. Also, my coworkers were staring.